The research team of Professor Jo Gil-won from POSTECH Dept. 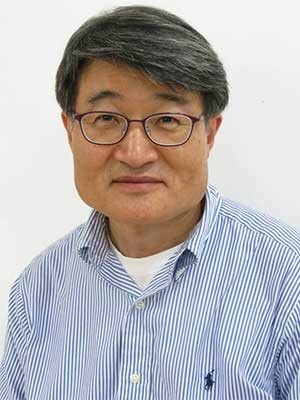 of Chemical Engineering, researcher Bong Hyo-jin and Dr. Jo Sae-byeok announced on the 19th that it had developed a technology to drastically improve production efficiency of graphene, which is drawing attention as a ‘dream material’ because of its electric conductivity higher than copper, strength greater than steel and thermal conductivity higher than diamond, by rolling it into the form of a scroll. The outcome of this study, which was recently published as a cover paper of an international academic journal for materials field ‘Nanoscale,’ draws academic circles’ attention by being a technology for large-area mass-production system that is directly relevant with graphene commercialization. Although numerous studies are being conducted on graphene competitively across the globe, studies about large-area mass-production system have not made any progresses. This is because not only it involves a large amount of raw ingredient and energy consumption, but also it requires complicated facilities and a long production time. The research team designed a simple method to synthesize thin graphene film by rolling up metallic foil, which is used as a catalyst, into the shape of a scroll. In general, thin graphene film is manufactured by reacting raw ingredient to the surface of a catalyst. However, when thin graphene film is made using this new technology, the number of reactions between raw ingredient, which passes through gaps in the scroll, and the surface of catalyst can be increased, and thus the amount of ingredient consumption is lowered drastically. This study was conducted with support from ‘Nano-based Soft Electronics Research Team’ for the Ministry of Science, ICT and Future Planning Global Frontier Project.